The law office of Rehan N. Khawaja Attorney at Law offers legal representation and bankruptcy services in Jacksonville, FL, for individuals and businesses. 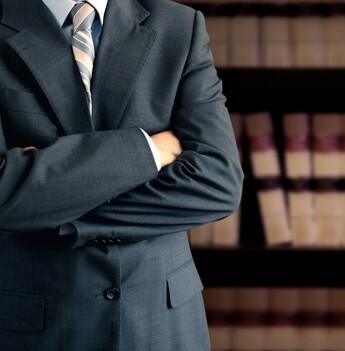 Attorney Khawaja has more than 16 years of bankruptcy expertise and extensive knowledge of filing bankruptcy petitions. Our Bankruptcy Law Firm will give personal attention to your situation and devise a course of action that's tailored to meet your financial needs. Are you unable to get out of debt no matter how much you budget your expenses? Are you on the verge of losing your home? Attorney Khawaja can help you gain more control of your finances with expert legal guidance. We provide clients with all the facts on what to expect with filing for bankruptcy and how filing a petition can help you move forward financially. Our law firm specializes in Chapter 7, 11 and 13 bankruptcy as well as credit card debt, foreclosure and car repossession. Whether you have multiple mortgages on your home or have financial burdens from credit cards, we'll get you debt relief. Learn more about our legal process with a free initial consultation. During a one-on-one consultation with Mr. Khawaja, your state of finances will be evaluated. We'll explain in depth the various types of bankruptcy petitions. The second appointment includes a detailed financial report and compilation of information from your credit report. We'll prepare your bankruptcy petition and ensure all of the necessary paperwork is included. Mr. Khawaja also attends bankruptcy hearings with his clients to make sure legal rights are addressed. Schedule a FREE consultation with our Bankruptcy Law Firm today in Jacksonville, including Fernandina Beach, Orange Park, Neptune Beach, Jacksonville Beach, Ponte Vedra Beach, St. Augustine, Green Cove Springs, Middleburg and Palatka, Florida.